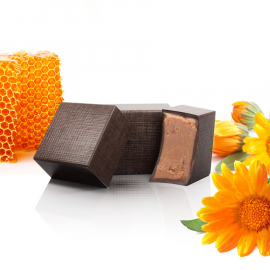 The taste buds come to life as they make contact with this blend of hazelnut paste and flower nectar, offset by a coating of dark chocolate. 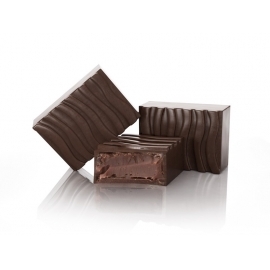 The surface texture of the chocolate recalls that of very tightly woven thread. 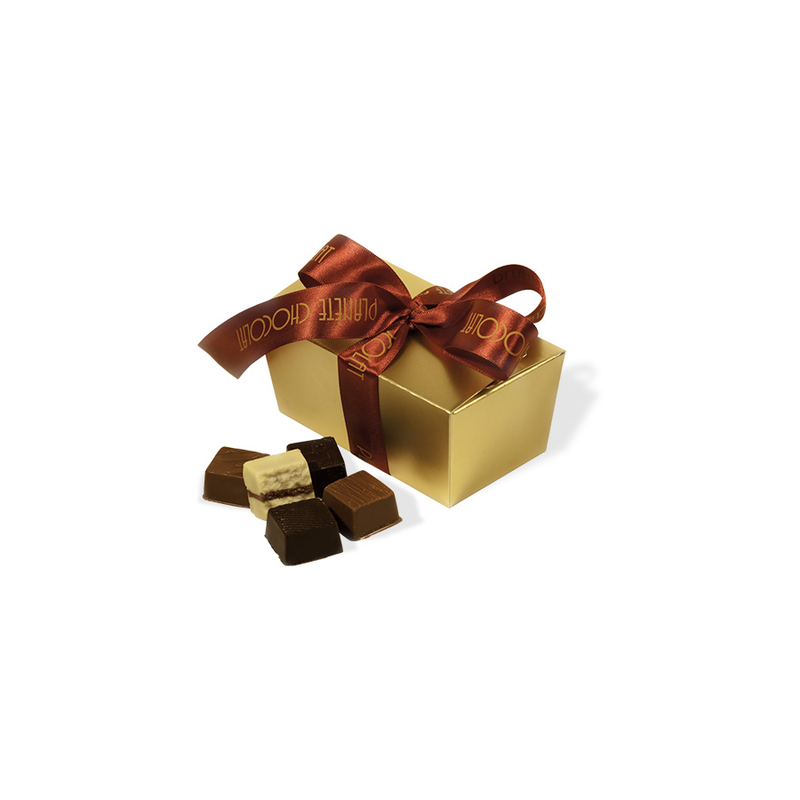 As you bite into the praline, the liquid caramel, enriched with hints of delicately bitter orange, runs over the fine chocolate fondant. 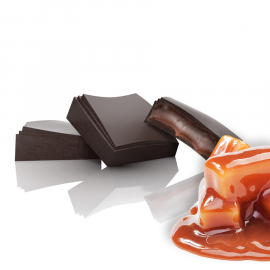 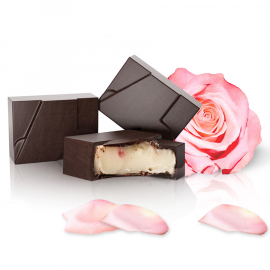 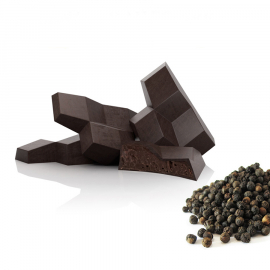 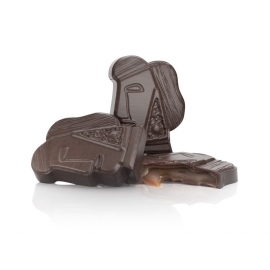 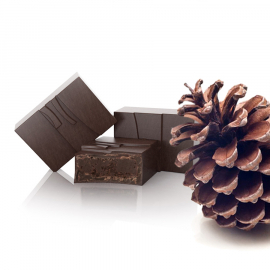 The piquant, peppery notes of this ganache will surprise the taste buds and delight serious chocolate lovers.